Now that the temperatures are starting to fall, you may find yourself spending more time indoors. The weather has an impact on the way you operate electronic devices. 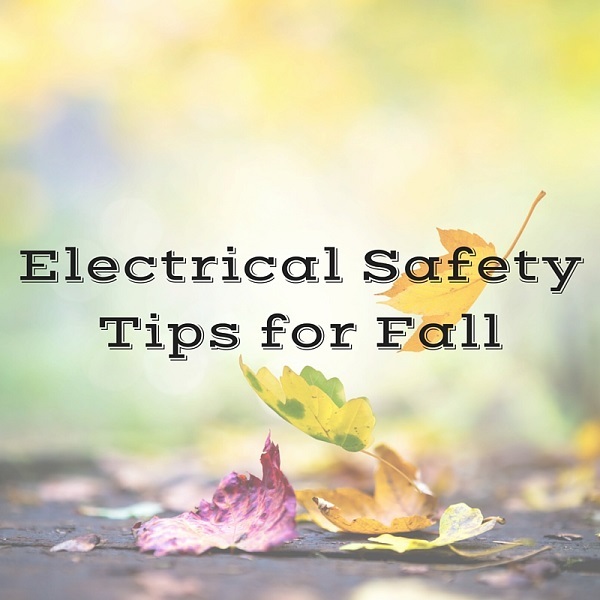 Below are some electrical safety tips to keep in mind this fall. Do not use an electric blanket that has a damaged power cord. Never tuck an electric blanket into a mattress. Do not fall asleep with an electric blanket that is plugged in. Lawn mowers and trimmers should be stored in a safe place. Inspect your leaf and snow blowers for damage. Replace or repair them, if necessary. If you are using an electrical device outside, make sure it is intended for outdoor use. Battery chargers should be unplugged and kept in a safe location. Be sure to sweep dry leaves away from outdoor light fixtures, outlets and power cords. At A.B. May, your safety is our number one priority. If you think that your electrical safety is faulty or in need of repairs, don't attempt a DIY project. Turn to the skilled electricians at A.B. May for all of your electrical needs. Call 913-370-4898 to schedule service.